The use of genetically tractable model organisms such as fruitfly Drosophila offers a potential solution to the problem of interpreting the function of proteins encoded in the eukaryotic genomes. In addition to being tractable to classical genetics analysis, Drosophila research is also enabled by the ability to manipulate its genome with increasing levels of sophistication. 2. Maintain a collection of commonly used, genetically defined Drosophila stocks. 3. Generate transgenic Drosophila strains using state-of-the-art technology for both for internal projects and as part of global collaborative initiatives. The facility also carries out developmental work towards enabling modern genome editing technologies in Drosophila. 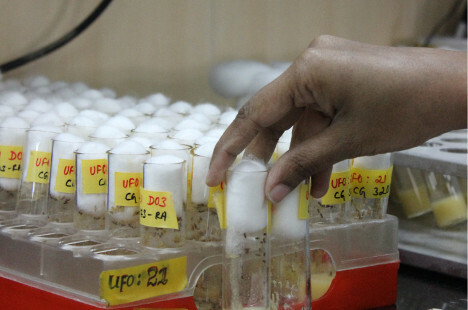 The facility also supports the work of the wider Drosophila community both in India and overseas; research groups can use the services of the transgenic facility via C-CAMP.